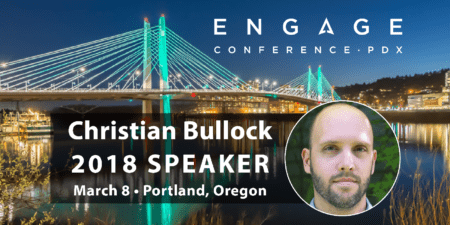 Christian Bullock will be speaking on SEO at Engage 2018, which will take place March 8th, 2018 in Portland, Oregon. For more information or to purchase tickets, please click here. I am a husband, father, uncle, cancer survivor and professional beer league ice hockey player. I was fortunate to discover the world of digital marketing after going to school with the desire to be a history major, then switching to become a journalist, and then ending up on the most general of generalities: a communications major. 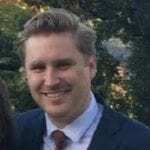 I’ve been the first hire for two successful digital marketing agencies. I currently work for MKG Marketing as the Director of SEM. 2) How can SEO’s become more efficient in their workflow? Compile the knowledge of your SEO activities that produce results. Create processes that you can replicate for any website. Refine these processes, as you test out new tools and play with new ways search engines allow you to amplify your organic search presence. Have a clear cut path to an answer. If you don’t, evaluate whether you should be spending your time on that tactic. Oh, and following some super smart people on Twitter is also a good idea. 3) How impactful can 33 minutes of SEO (a day) be for a client? Spending that amount of incredibly focused time on, really, the basic principles of SEO can elevate any website to organic search success. It’s all about choosing to focus on what will make the greatest strides when it comes to results. The range of impact can vary, sure. And the results are situational, with a small business owner being pleased to see some kind of organic search traction after never thinking before about on-page SEO considerations or a digital marketing manager being pleased about a single high priority term moving from page two to page one. Success is defined differently for everyone. My session is meant for any type of individual to get clear information about what they can do to be successful in organic search, whatever that means to them.